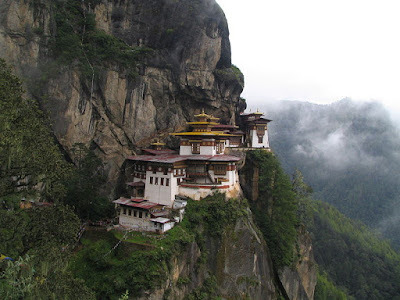 Taktshang is the most famous of monasteries in Bhutan. 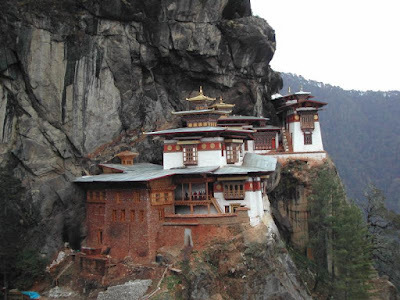 It hangs on a cliff at 3,120 metres (10,200 feet), some 700 meters (2,300 feet) above the bottom of Paro valley. 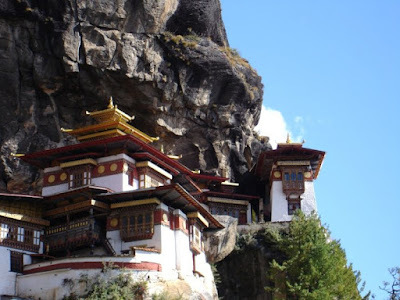 Famous visitors include Ngawang Namgyal in the 17th century and Milarepa. 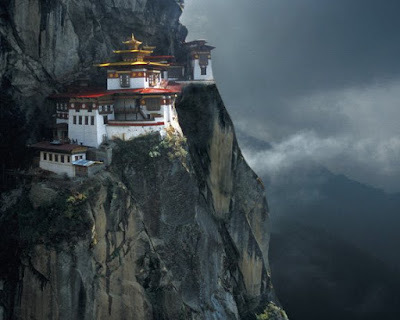 The name means "Tiger's nest", the legend being that Padmasambhava (Guru Rinpoche) flew there on the back of a tiger. 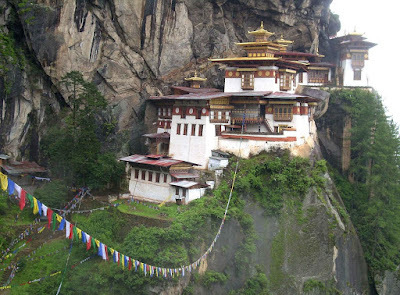 The monastery includes seven temples which can all be visited. The monastery suffered several blazes and is a recent restoration. Climbing to the monastery is on foot or mule. 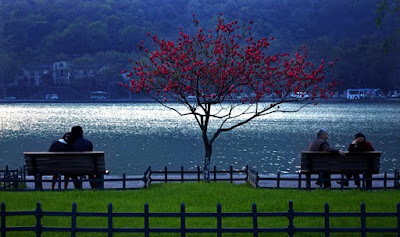 bagus bagus yah jed.... jadi mupeng pengen ke sana.. kapan yah??? wondering when..."?"